I recently started designing for a new clothing line and that includes designing apparel, but also, and more importantly, new characters for the company. 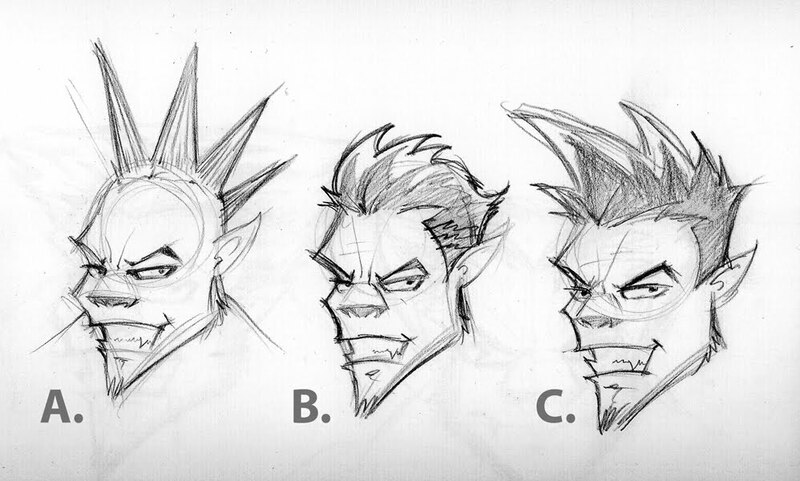 This time you get to see the design process and what better way to show that then by having to choose a hair style for this new character who happens to be a werewolf. Well...it's actually already been done. They decided on B. as the way to go with this guy. I agreed. And all is well in the world.